At WoodHaven, realism in our calls has been our number one goal since the beginning! We strive each and every year to continue to raise the bar with new and innovative products that produce results in the spring woods for our customers! The all new "Ninja Hen" box call does all this and more! The "Ninja Hen" consists of a walnut bottom in conjunction with a matched yellowheart lid that is pure turkey! 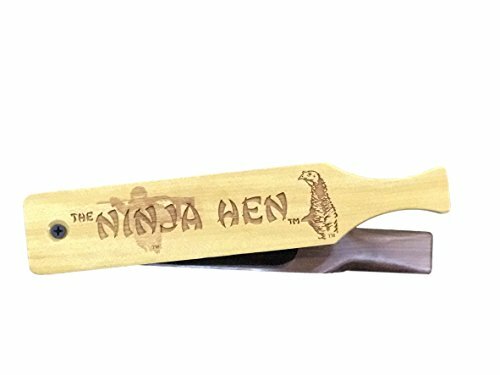 "The "Ninja Hen" produces great two tone yelps as well as sharp, crisp cutts and cackles. This call has the ability to call both loud and soft! The all new "Ninja Hen" comes chalked and ready for action! So if your the market for a new box call that easy to run with a great turkey sound, I think you will love the new "Ninja Hen"!"